New Canadian Kazuko Komatsu does business in British Columbia, and business is good. During the early 1980s, she sold natural gas to Japanese customers. She walked log booms selecting timber suited for the Japanese market. She established a 2×4 training school in Japan. British Columbians know her best as president and CEO of Pacific Western Brewing Company. 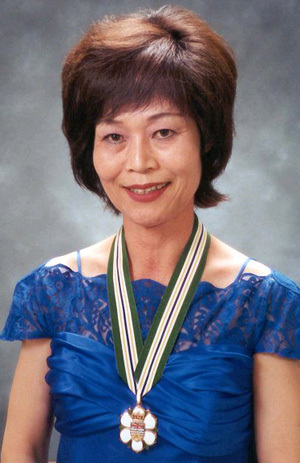 When Pacific Western Brewing threatened to close their doors in 1990, Kazuko Komatsu bought the company and expanded operations domestically and abroad. She serves on the boards of the University of Northern B.C. and Royal Roads University. She is a member of the Canada Japan Business Committee, a director with the Brewers Association of Canada and the Western Brewers Association. In 1994, the Federal Business Development Bank presented her with an Entrepreneur Award. The Vancouver Board of Trade, too, has recognized her business acumen.